There are over 15,000 dryer vent fires per year! The buildup of lint and debris year over year can clog your dryer vent, cause resistance and overwork your dryer. This additional static can cause your dryer to overheat and start a fire in your home. If you have not had your dryer vents professionally cleaned, now is the time to do it. Kelley Klean is a full-service restoration company that can easily clean your dryer vents while helping you to save money. Servicing the Columbia, Jefferson City, and Central Missouri areas, we have over 30 years of cleaning experience. 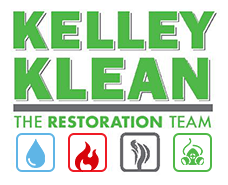 Established in 1986, Kelley Klean has worked in thousands of residential properties, with the goal of 100% customer satisfaction in our work. If you are interested in learning more about cleaning your dryer vents or construction cleaning or would like to speak with one of our estimators for a quote, give us a call at 573-214-0990. There are tremendous benefits of cleaning your dryer vents. If you have never cleaned your dryer vents, your dryer is working on overtime and facing a large amount of resistance every time you turn it on. Read on for the following benefits of hiring a contractor to clean your dryer vents. A clean dryer vent causes your dryer to utilize less energy to dry your clothes; cutting down on dry times and saving your money on your utility costs. Removing trapped debris and lint within a dryer vent, you are going a long way to preventing a dryer fire in your home. With over 15,000 fires caused by dryers each year, cleaning your vent can be your first step in prevention. When your dryer vents are properly cleaned, it allows a smooth path for air and moisture to escape from your dryer to the outdoors. The faster this process can occur, the quicker your clothes can dry. Most people do not realize that dryer lint is the preferred nesting agent of birds and rodents. Mice and rats collect dryer lint from the vent system, leaving droppings along the way. In addition, moisture from the dryer becomes trapped within the vent line, causing mold growth as well. Each time the dryer is used, bacteria, mold and possible viruses can be exposed to your clothing as it circulates from the dryer line back into the dryer. When you pick up the phone to call Kelley Klean, we will send out a technician to conduct a thorough investigation of your dryer vent’s status. Many of our competitors will only clean 25% of the dryer vent; they simply do not have the proper tools to fully extract the full amount of lint and debris present in the line. Our number one goal is the safety of your home, and we will communicate if we believe there may be any issues with your dryer vents. We will also identify the type of dryer vent present in your home, and if there are any obstructions that must be noted. Upon our findings, we can discuss the process of moving forward, removing any obstructions within your dryer line, and restoring your ductwork to its most optimal efficiency. If you have never cleaned your Dryer Vents, now is the time to give Kelley Klean a call. Established in 1986, we understand the proper type of ductwork needed for dryer vents, we understand what we need to look for and have the equipment required to fully extract lint, debris, birds nests, and rodent droppings. After our qualified technicians have conducted a thorough and honest inspection, they will make recommendations specific to your unique needs. The key for our staff and company is the safety in your home, and we will take the proper strides to properly clean your vent line. If it is time to clean your dryer vents, Give us a call at 573-214-0990!